Stump grinding within 24–48 hrs. 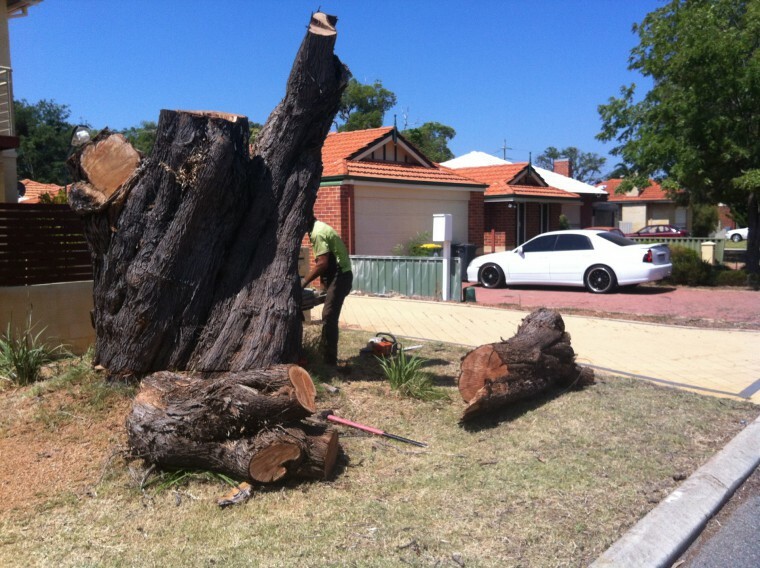 Beaver Tree Services Australia Pty Ltd is a Perth based company employing a staff of 52 (12 teams). With over thirty years’ experience in General Management positions, from small family owned businesses to multinationals, Mark is able to add value to a variety of areas for Beaver Tree Services and their customers. Mark works closely with all cities, councils and towns. Mark is available to all of our customers 24/7. As the first face our residential and commercial customers see from Beaver Tree Services, Dean prides himself on being ‘on time all the time’, assisting you with quotations and professional advice. Dean is a very capable member of our team and has a common sense approach when it comes to your tree works. Give Dean a referral to a friend or colleague and he will give you $50.00 off your quote. If he does not arrive on your site within 24 hours of you calling us at an agreed meeting we will give you $200. Joe is Beaver Tree’s newest management team member. Joe brings with him extensive experience and is charged with overseeing and improving our large-scale operation. He manages the daily operations for allocating resources and ensuring all equipment is ready for use. Ensuring professionally equipped and trained teams are available to conduct work within specified time frames to meet customer needs is all part of a normal day for Joe. Paul has held the position of Managing Director since purchasing Beaver Tree Services Aust. Pty Ltd in 1999. With a Trade Certificate in Horticulture, Trade Certificate in Turf and completion of his Horticultural Diploma and Certificate in Arboriculture, Paul’s early interest in plants and trees has certainly become part of his passion. Paul is keen to ensure best work practices and standards are carried out not only at Beaver Tree Services Aust. Pty Ltd but throughout the tree industry. He is also a current member and President of the Tree Guild of WA. Daniel has been in the arbour industry since 2005 and enjoys the challenges that come with the job. He has worked for the Beaver Tree Services throughout this period and was recently promoted to Operations Supervisor. Daniel is a competent climber and enjoys difficult tree removals. He appreciates the work conditions at Beaver Tree Services and hopes to continue to work with other management personnel to improve the company further. Daniel is a superman when it comes to removals he is fast and accurate. If want a job done professionally and quickly, we have your man. After studying and working in many fields, including forestry, Scott commenced working in the tree industry over ten years ago. Joining Beaver Tree Services in 2013. He is a qualified Arborist (Cert 5, Diploma) and currently one of our Team Leaders. He provides consultancy to customers who require written arbour reports if required. Tim has worked in the industry since 2006 and joined the Beaver Tree Services team in 2010. He is currently a Team Leader at Beaver Tree Services. In 2011, Tim completed his Certificate II in Arboriculture. He has gained knowledge in rope techniques, working with Elevated Work Platforms, climbing and removal and felling of large and small trees. Tim will continue his studies in 2012/13, and complete Certificate III in Arboriculture. Tim is a very capable cutter and is a great asset to the company. Michael is another of our highly motivated Team Leaders in charge of a street tree crew. Michael’s dedication enables him to work from very early in the morning until he checks off his crew and gear and plans out his next day. We have had many positive comments from both rate payers and our local government clients in regard to this excellent Team Leader. Craig joined the Beaver Tree Service team in 2010 and has worked in the industry since 2005. He is a Team Leader in charge of a street tree cutting team. Craig has a strong work ethic and likes to do the best job possible. He works hard to ensure the street trees look the best they can. His services are in demand from our loyal street-scape clients. Keith is your man when it comes to grinding stumps. He is diligent and keen to ensure customer service is second to none. Often Keith will be the last face you see from Beaver Tree Services so it is important that he ensures you are satisfied. Keith will explain some of the finer points of his operation before he commences work. Please be assured that while all care is taken when grinding your stumps, you need to let Keith know if there are any services close by. Robert is a very experienced Team Leader and takes great pride in his work. Robert is requested by name by some of our shires to prune their much loved street trees. We certainly value his skills and he is also talented in arbor work to compliment his value to our company. Ethan hails from the land of the great white cloud, he is a very proficient cutter with a specialty in street-scape trees, Ethan is a whizz on a squirrel. Ethan was trained by one of our experienced team leaders to become a regular squirrel operator. Jon has been with Beaver for many years. He is a team leader, bucket and climb cutter and is very much a ‘get the job done’ man. Along with his team, Jon has set a few records for the amount of work completed in a day and is generally allocated large scale jobs. Jon is also studying towards a Certificate 3 in Arboriculture. Richard (Dickie) is an experienced machine operator and general all-rounder. His main role is small project management and fills in roles with Stump Grinder, Schaffer ( small Loader) and with crews as needed. His development plan is aimed at becoming an all-rounder then specialising in Arbour culture. With over four years’ experience in Business Administration and accounts, Rina ensures all suppliers are paid on-time and manages many financial aspects of the business. With over twelve years of administration experience, Tracy joined Beaver Tree Services in 2013. Tracy is the go to girl for organising stump grinding, wood collection and mulch deliveries. She works closely with many local councils and shires, arranging work to be done for them. She also provides assistance with numerous other administrative duties and reception. Kim has over fifteen years of experience working in Administrative and Customer Service positions and is our newest member to the Beaver Tree Services administrative team. Kim liaises with local councils and shires in regard to scheduling and emergency works and carries out various other administrative tasks within the organisation. With fifteen plus years’ experience as an Accounts, Payroll Administrator and Executive Assistant, Lydia is involved in the financial aspect of the business. Processing financial, accounting and payroll transactions, reconciling accounting and financial records as well as performing various administrative tasks Lydia is an integral part of our office team.